The Clark CPT Series portable testers offer convenience and reliability for "Rockwell" testing on the go. CPT offers the ability to test both inside and outside surfaces at any angle with great accuracy. 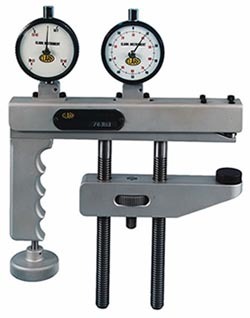 Quick change indenter, easy-to-read dial indicators, and finger tip loading make the CPT a handy and efficient tool for testing large and inaccessible parts.